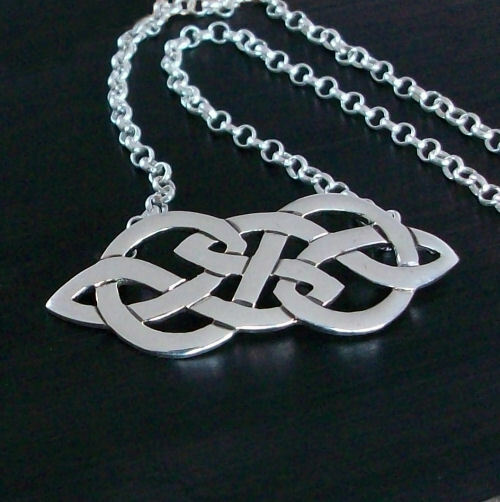 Celtic necklace named after the old Tom Morris Golf course in South Uist. Designed by John M Hart Scottish Celtic Jewelry 2008. The celtic endless knot an ancient symbol representing the interweaving of the flowing of time and movement which is Eternal.